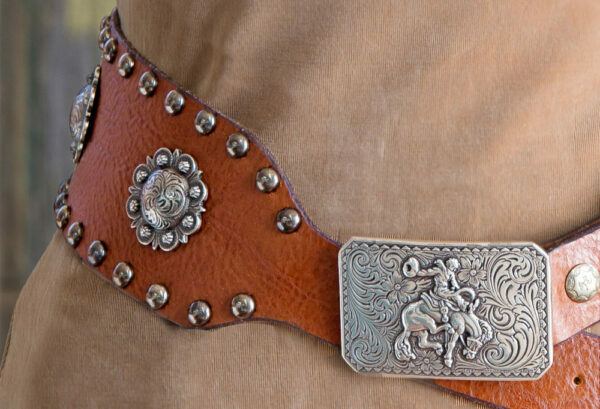 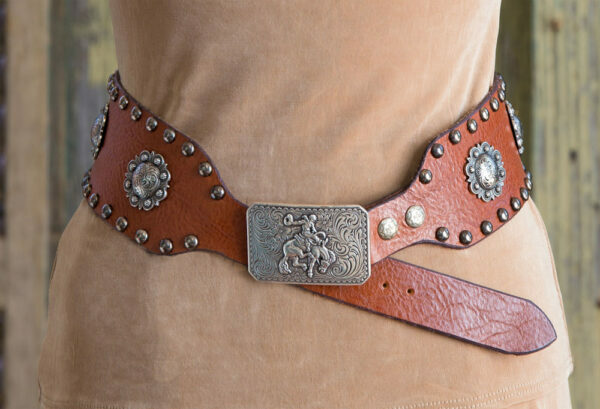 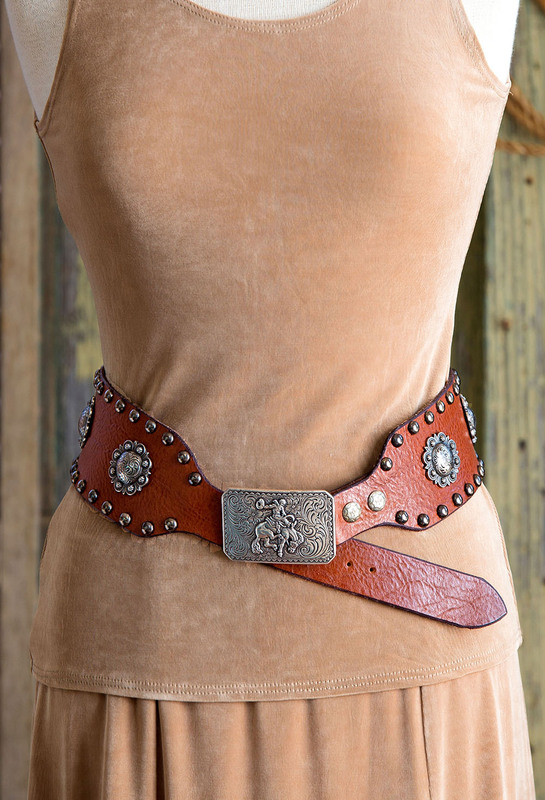 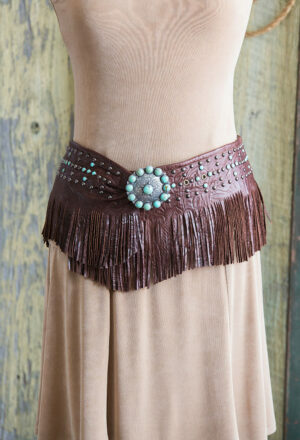 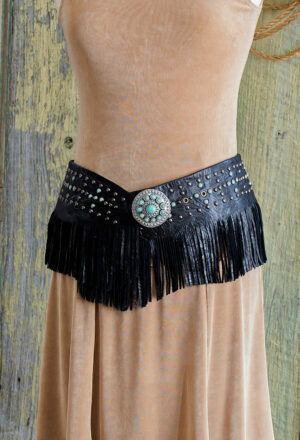 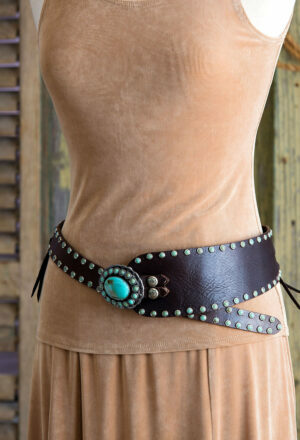 Buckaroo Belt made in soft strap leather with with large round conchos and large stone buckle. 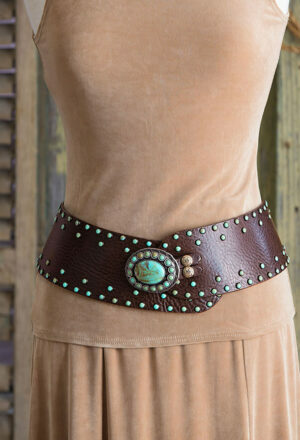 Wear it comfortably at the waist or on the high hip. 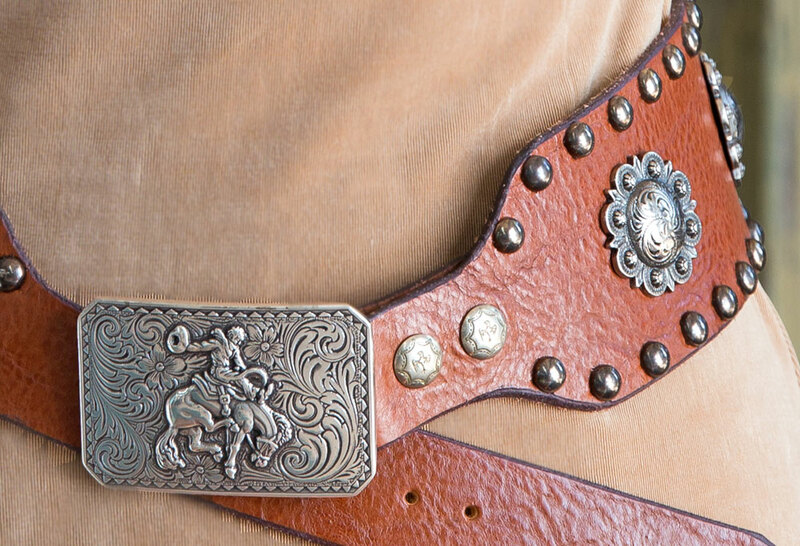 Thunderbird snaps allow the buckle to be removed and replaced with your favorite buckle. 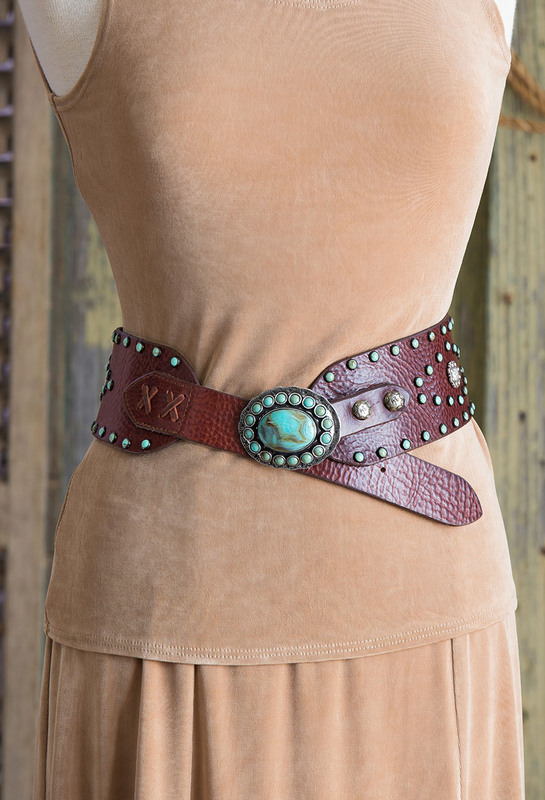 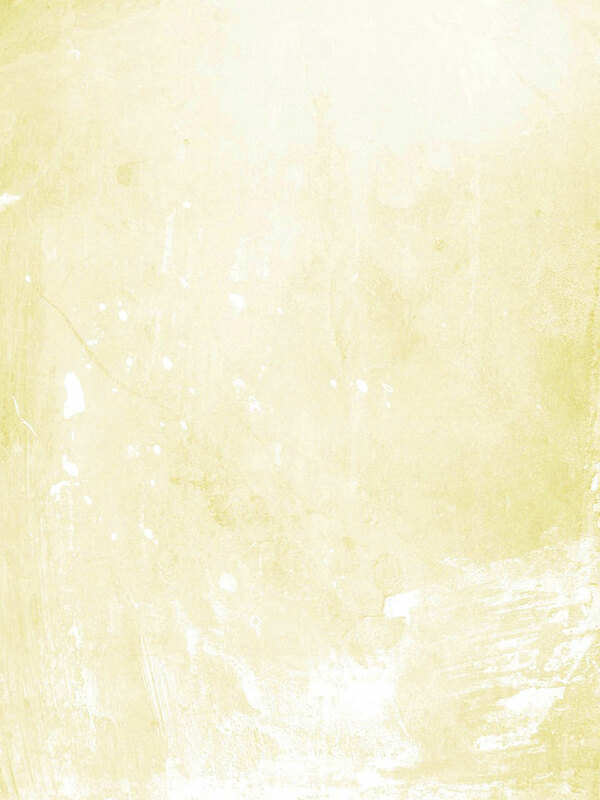 Shown in Tan.